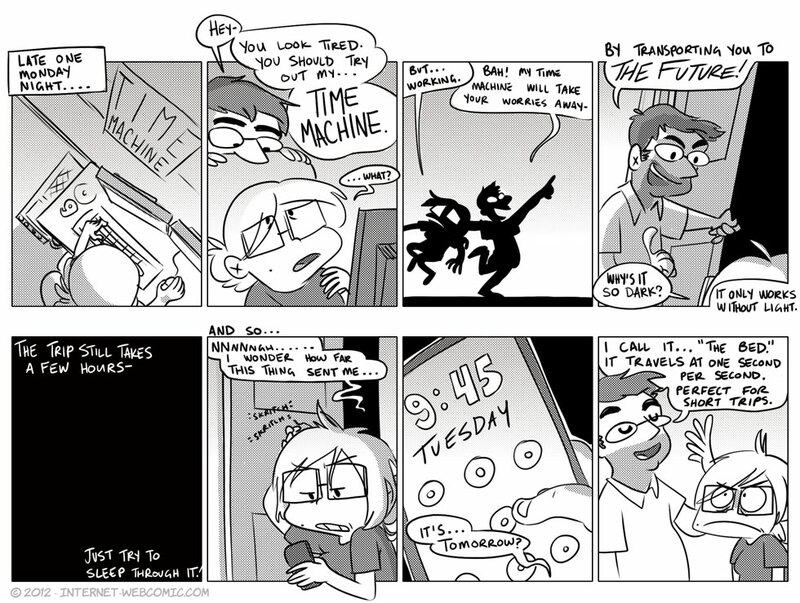 Back from my time travels, here’s the comic! I love the 1s/s joke, it’s one of my favourites. I’m entirely sure that someone’s thought of it before- but whatever. It’s too good not to make. Tomorrow I’m looking into getting a cat- I’ve given Adam an entire week to rescind his permission. Exciting! I like 60 seconds per minute better. If you’re not paying attention it actually sounds significant. That’s actually a thing; it’s called time dilation. Isn’t relativity awesome?! The faster you move the younger you’ll remain (compared to the rest of the world). It won’t be noticeable, but it’s still technically correct.